As it turns out, Panasonic wanted the world to know the answer for the last question too. And, like all complex answers, this one required a little bit of show and tell. 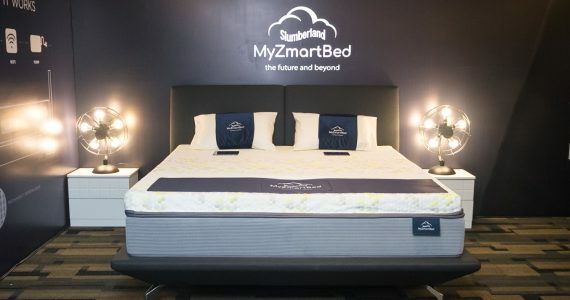 Panasonic’s range of consumer-level electronic products range from a variety of home appliances and some pretty awesome cameras. 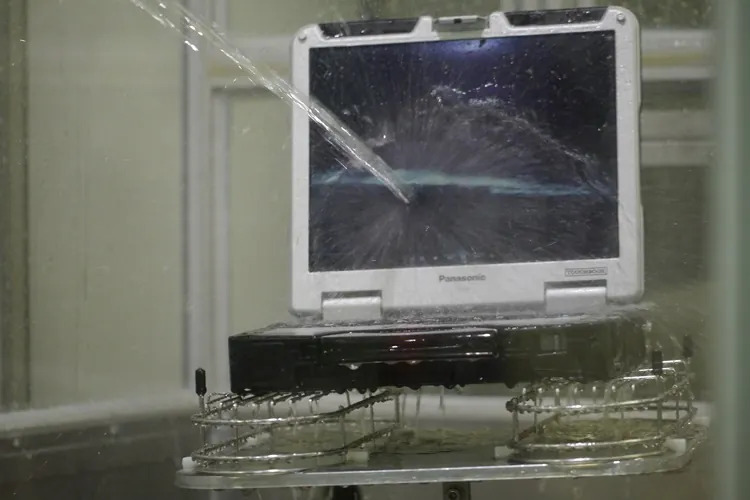 But for its business customers, Panasonic has the Toughbook division, which produces spectacularly durable notebooks designed to function in the harshest environments and can literally take a pounding. Toughbook isn’t actually a new division, as its products have been deployed throughout the world since the business started in 1996. With each passing iteration, new models constantly challenge the boundaries of the definition of toughness. 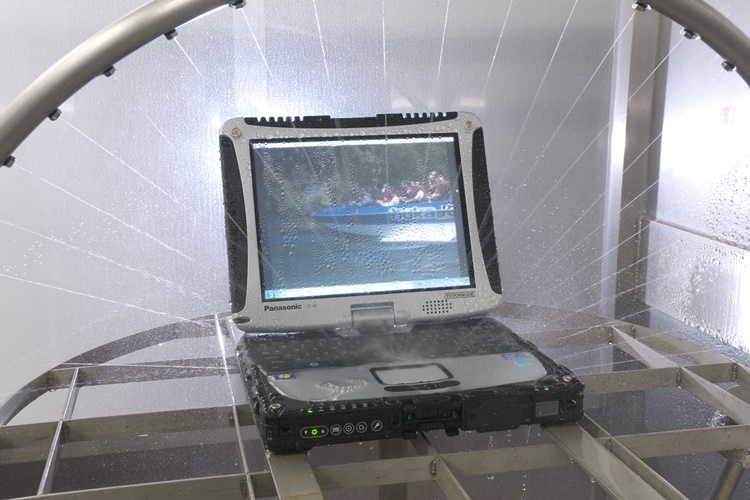 Today, Toughbooks are used by emergency response teams, soldiers in the battlefield to even avid explorers. 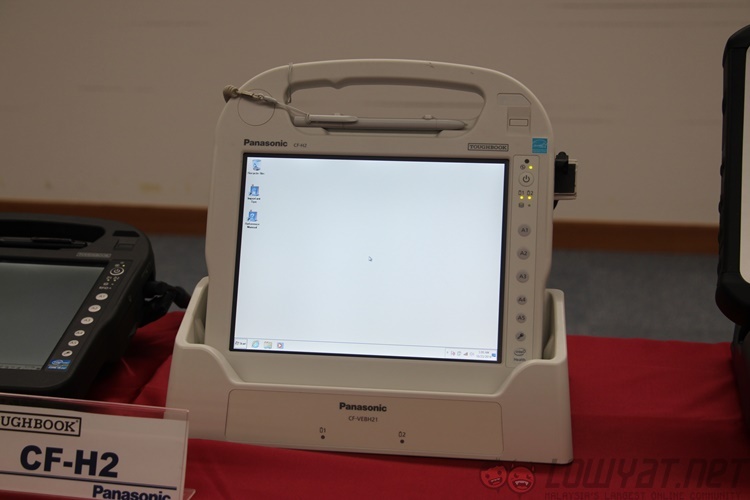 Panasonic’s Toughbook clientele are just as varied, from the healthcare industry to the military. These requests range from installing custom software so they are ready for use out of the box, to more extreme ones for a specific client. 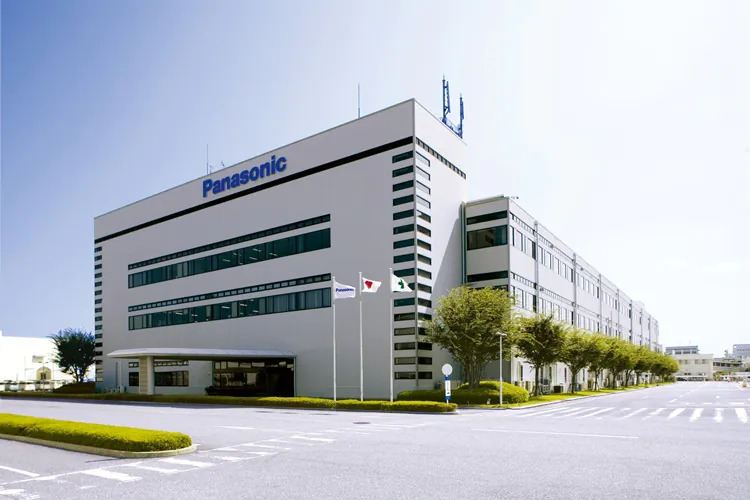 Whether it designing a custom Toughbook for 400,000 US police patrol cars or even designing a hand grip for its Toughpad tablets, even Panasonic has lost count of how many customised products it has shipped so far. 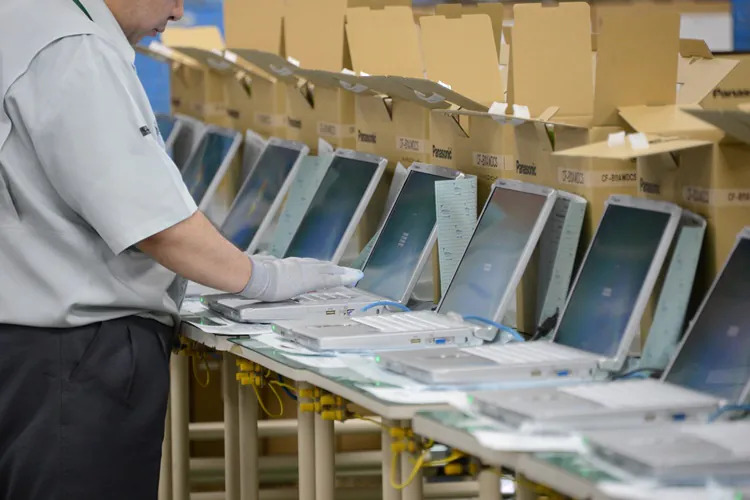 With almost 20 years’ experience building rugged laptops, there is little wonder why Panasonic Toughbook commands a huge chunk of market share both in its native market in Japan and globally. 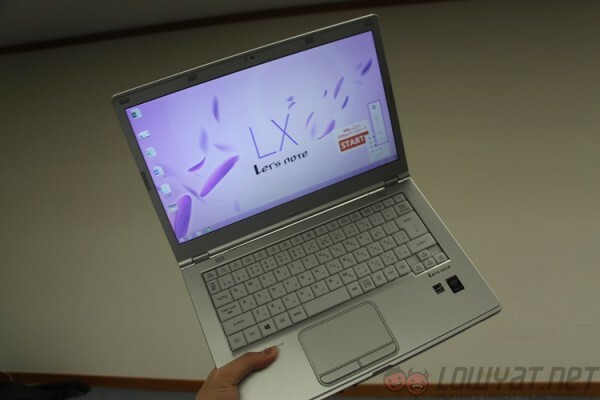 In Japan, Toughbooks are known by a more consumer-friendly brand, Let’s Note. 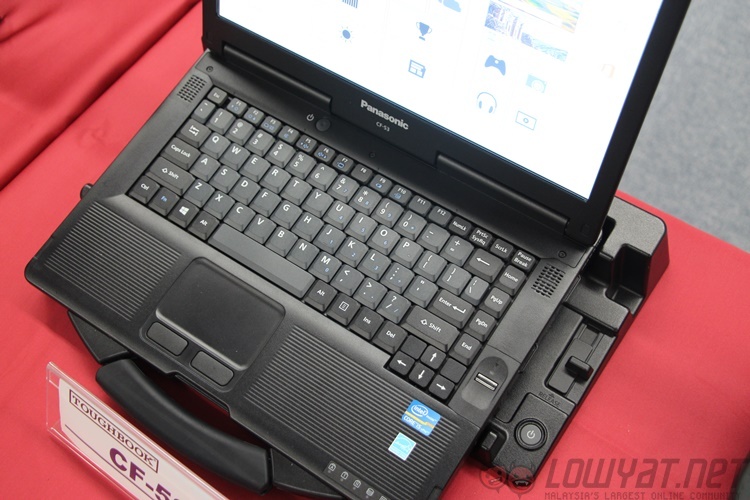 Its line of business-oriented rugged notebooks makes up over 60% of all business laptops sold in the country. 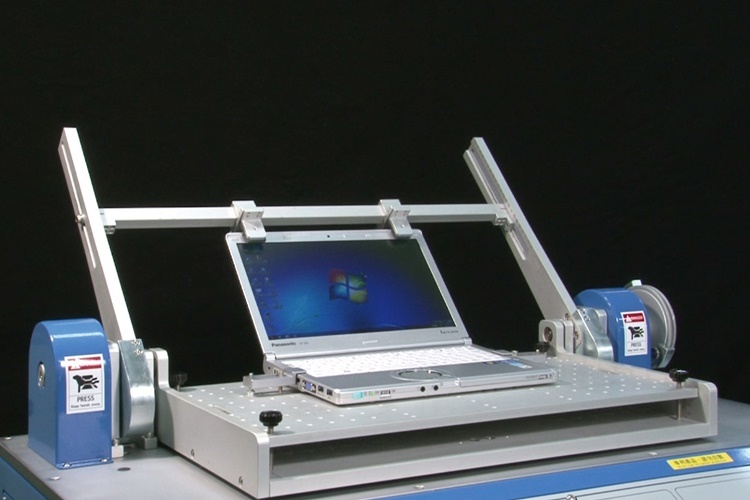 These laptops, which are significantly thinner and lighter than the fully-ruggedised Toughbooks, still possess exceptional durability for a consumer device. 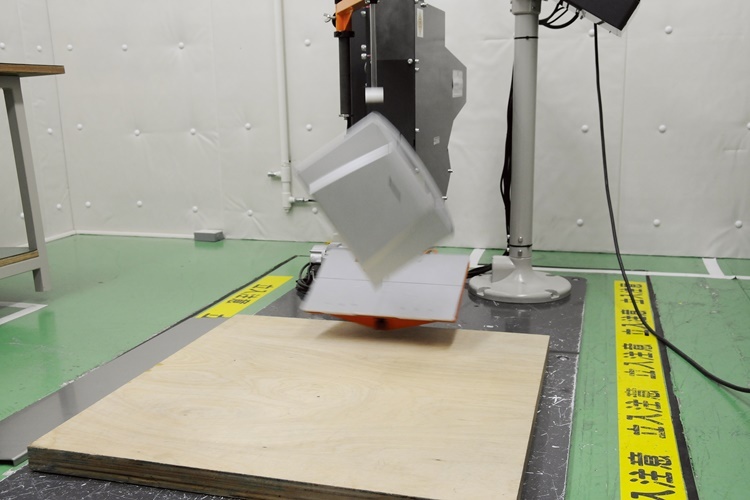 They can withstand up to 80kg of crushing load, for example, which is the average load heaped on a passenger in a fully-crowded subway train in Japan. 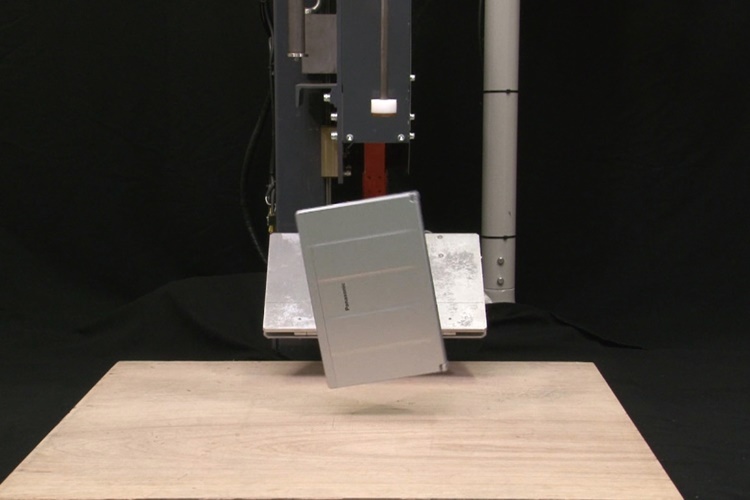 Most of these laptops can also survive free-fall drops of up to 73cm in height. They may look chunky compared to today’s modern Ultrabooks, but don’t let that fool you. The 14-inch CX-LX3, for example, weighs just 1.26kg – and is powered by an Intel Core i5 vPro chipset with Windows 8.1. 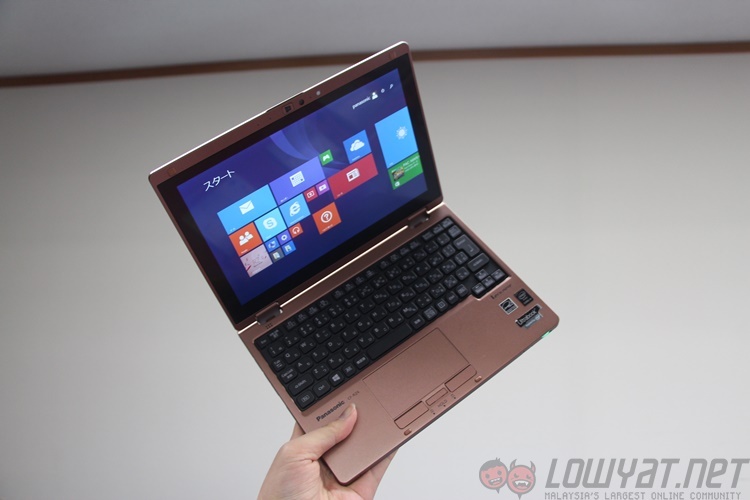 In fact, just last month Panasonic released a new notebook for Japan. Called the Let’s Note CF-RZ4, it is a hybrid 10.1-inch laptop powered by an Intel Core M CPU, 8GB of RAM, and has up to 14 hours battery life. 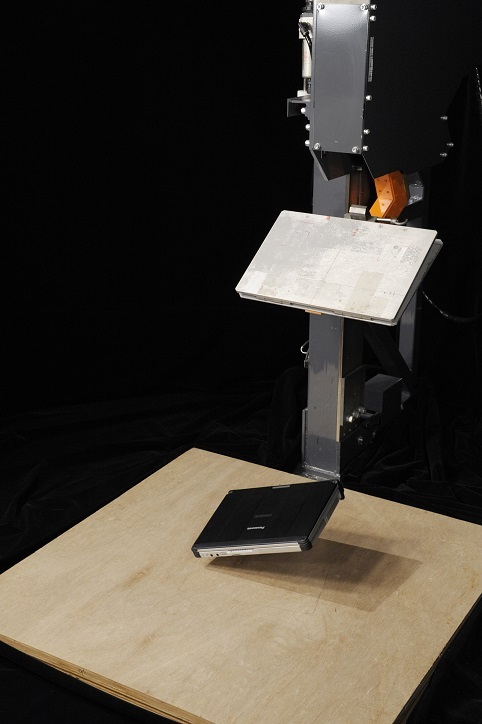 It weighs just 745g, and passes Panasonic’s 76cm drop test. So how does Panasonic make these notebooks so tough? The short answer: via extensive research and a relentless pursuit of building the best product each and every time. The longer answer required a visit to the company’s manufacturing and testing facility in Kobe, Japan. We were told that Panasonic regularly opens its doors of its Kobe facility to interested clients for a tour, and “95%” of the time, an order is placed at the end of the tour. 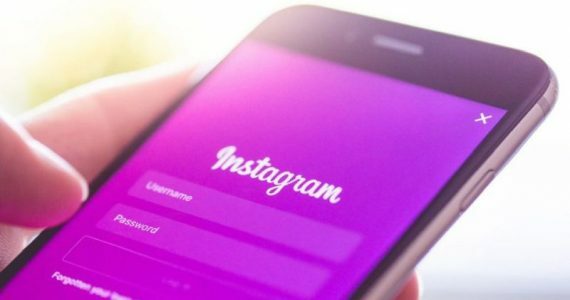 Numbers and statistics are one thing, but to actually see what these products can take and still work perfectly is what really convinces clients. 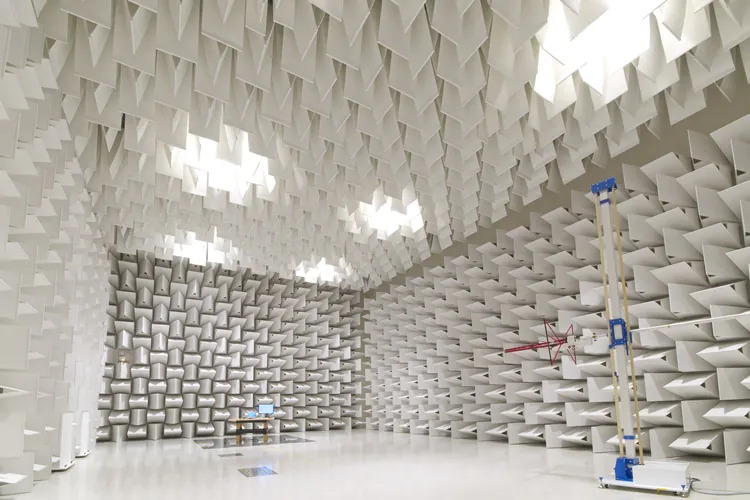 Depending on the model, Panasonic runs rigorous stress tests to ensure each and every one of its products meet not just military standards, but Panasonic’s own – and very strict – internal standards. We were told these can even go about 30% beyond mil-spec standards. 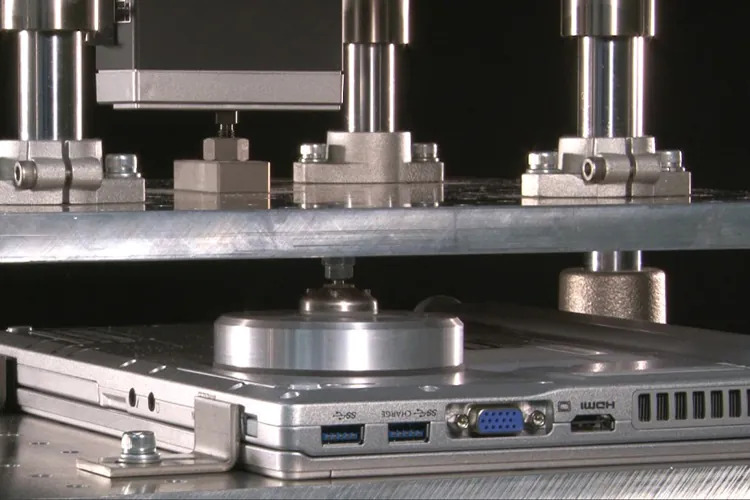 For instance, some Toughbook models are dropped from 24 different angles to truly simulate a real-life scenario – not all notebooks drop the same way. 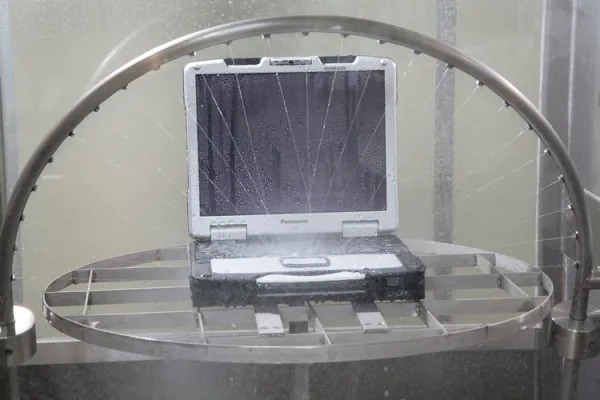 For water-resistant models, water is sprayed in multiple jet streams across the entire device, while a more extreme test uses a hose to cannon a continuous, high-pressured blast onto a Toughbook looping a video. 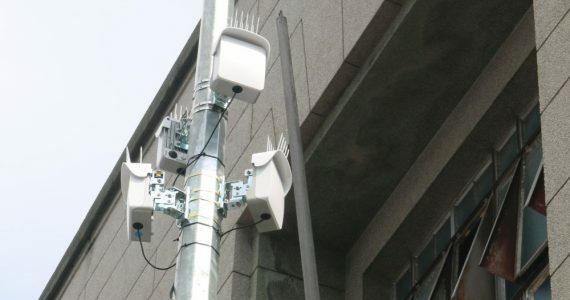 Then, there are the durability tests: hinges are opened, closed and even twisted thousands of times, while keyboard keys are tapped tens of thousands of times more. Of course, seeing how durable these devices are were just half the fun. The other half involved the science behind it. Panasonic invests a sizeable amount of money into R&D, requiring its researchers to really push the limit. 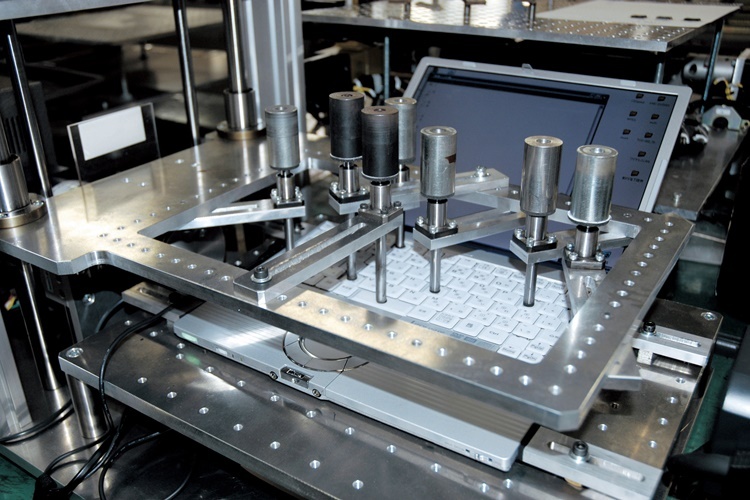 Oftentimes, what’s already available today isn’t good enough to protect a Toughbook, so Panasonic develops new materials of its own. Take, for example, this unimpressive-looking sponge. It looks no different from normal sponges, but this green-coloured wonder is known as Super Sheet, designed to protect hard disk drives and motherboards from impact. 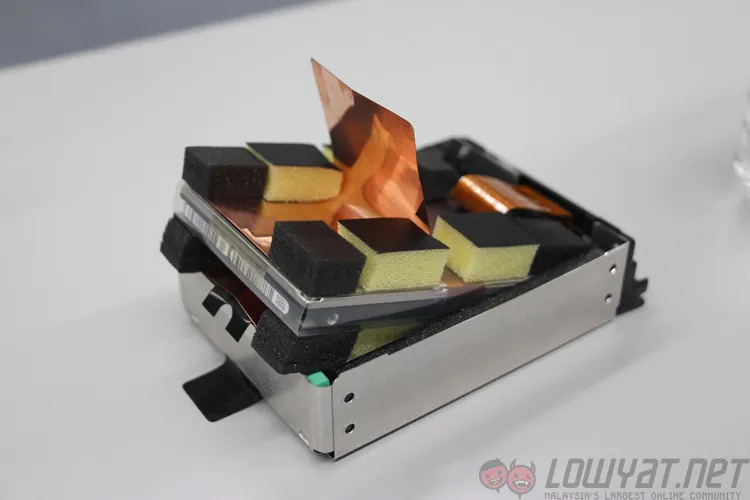 While normal sponges lining a hard disk bay can withstand about 2G of impact, Super Sheet – which lines the hard disk bay and the motherboard – is able to withstand an astounding 270G of force due to its impact-absorbing properties. 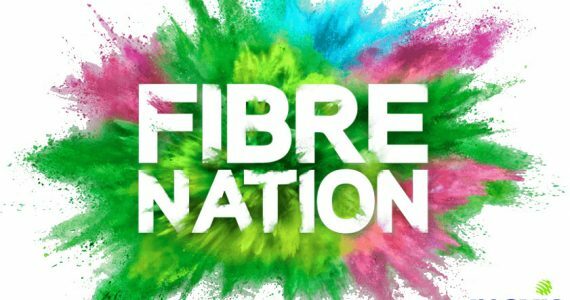 It compresses a lot more slowly from normal sponges, allowing it to absorb and cushion impacts a lot more effectively. And then, there’s the water-resistant seal. 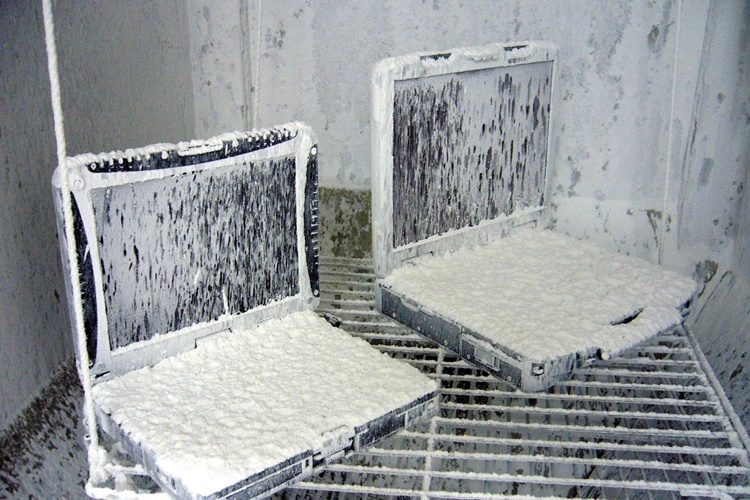 While most products employs rubber closures to seal any opening, Panasonic uses a flexible foam packing on all of its magnesium covers, which do not degrade over time. 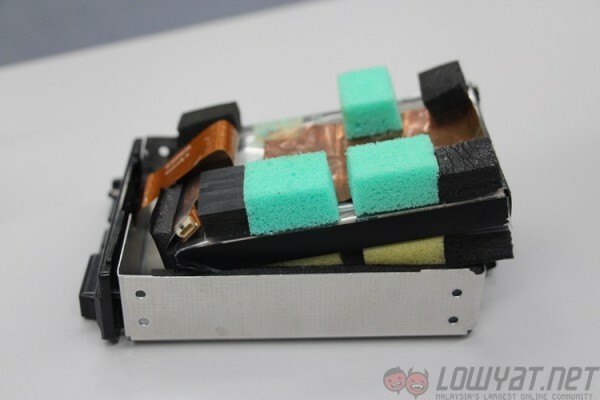 On top of that, the heat sink is uniquely isolated from any component in the motherboard, allowing hot air to be blown out, but not allow water to seep in. In addition, the new business-oriented Toughbook and Let’s Note laptops feature a new, thinner chassis which have what Panasonic calls VH Frame Structure. This new design features parts of the chassis to be thicker for extra strength, and thinner in other areas. As a result, each chassis plate can be up to 0.15mm thinner. The laptops’ top plate, on the other hand, has a “bonnet structure” inspired by cars. This structure combines the dampers with the plate for reduced thickness, but still strong enough to withstand significant pressure. Toughbooks aren’t just tough physically. 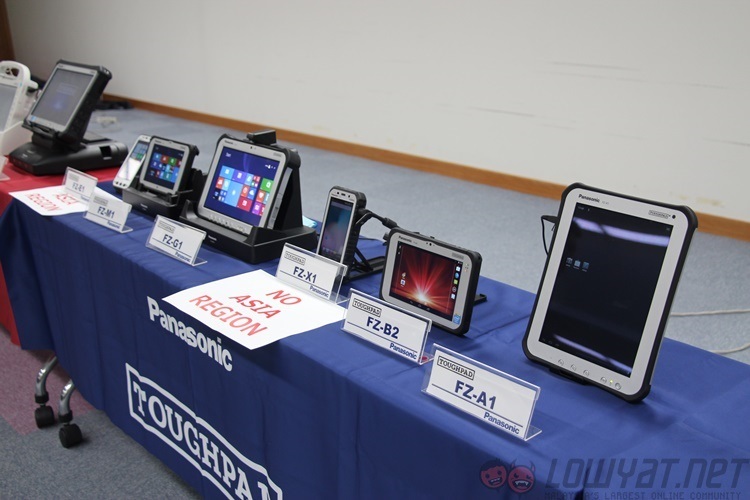 Panasonic also pays special attention to the other aspects about what makes the Toughbooks great. 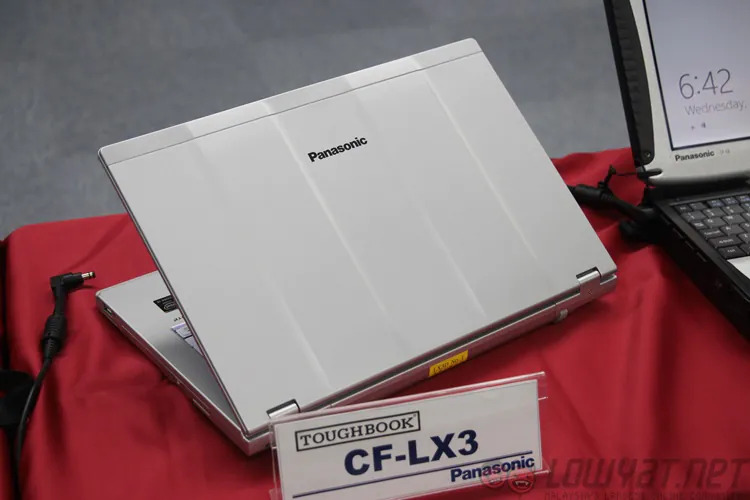 In designing the CF-MX3 convertible laptop, Panasonic’s electronic engineers actually took Intel’s reference circuit diagram (which most OEMs integrate straight into their products) and studied its circuit design. 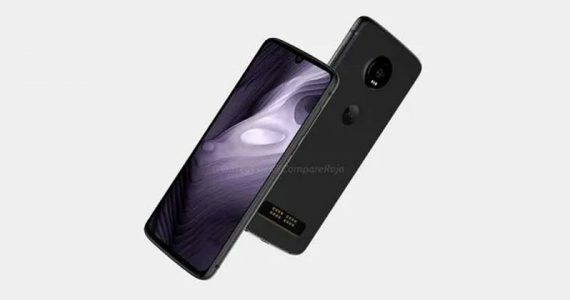 From there, the engineers made some changes to the resistors and capacitors, resulting in an extraordinary 15-hour battery life. On the other hand, one really interesting aspect that can be found in Toughbooks are related to security. These laptops are equipped with Panasonic’s Data Protection Service, which can remotely wipe data stored in the device without the user’s knowledge. This is particularly useful if your Toughbook gets stolen, and the actual process of wiping your data begins and ends with just an SMS. 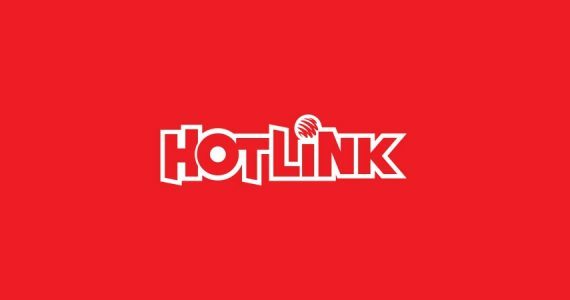 Yup, an SMS command sent to a server communicates directly to the Toughbook – even when the device is not switched on – will automatically begin the remote wipe process. 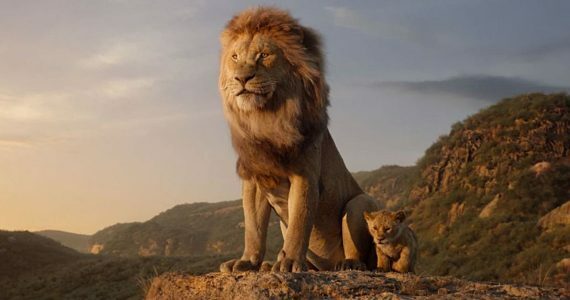 During this period, the screen will not even turn on. It’s disturbingly efficient. After such a long time in the business, Panasonic is also proving to be agile enough to adapt to “Post-PC” trends by setting up the Toughpad subdivision in 2012. 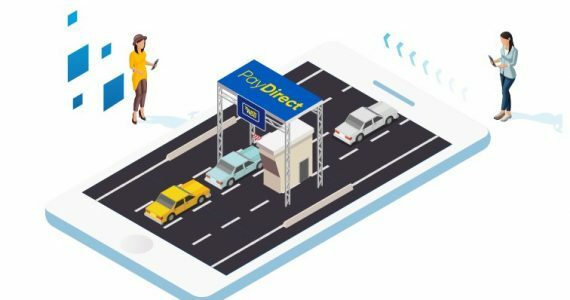 Working on the same principles as the Toughbook division, the Toughpad division offers everything from 5-inch Android – and Windows Phone – “tablets” with mobile telephony, a series of Windows 8 tablets as well as the massive 20-inch Toughpad 4K tablet. 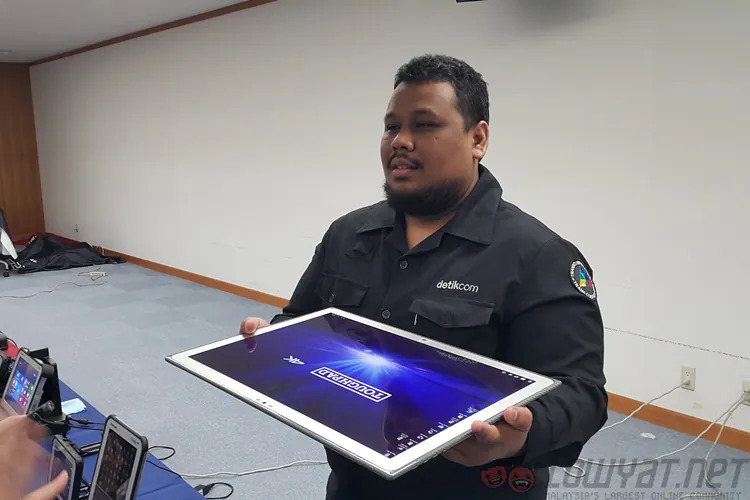 That is indeed how big the Toughpad 4K Tablet is. Just like Toughbooks, Toughpads can be configured to fit a variety of needs and clients, and are exceptionally popular in the healthcare industry. 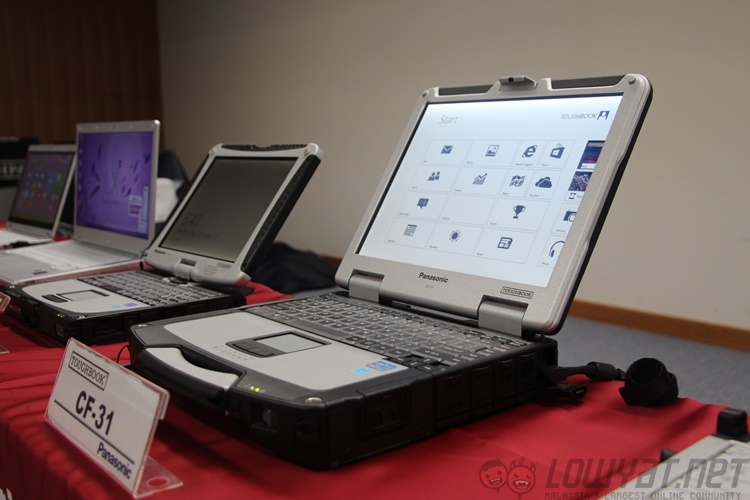 As consumers, most of Panasonic’s Toughbook products aren’t available for us to purchase, especially in Malaysia. 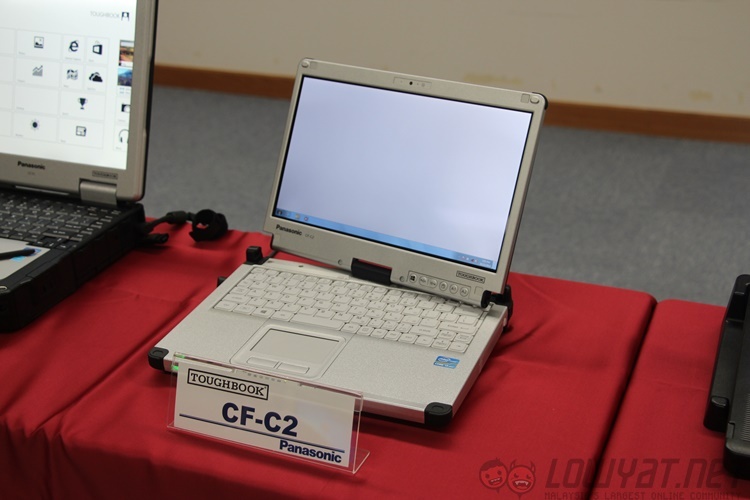 However, there are a few business-oriented Toughbooks which can be purchased from local distributors, including the CF-LX3. 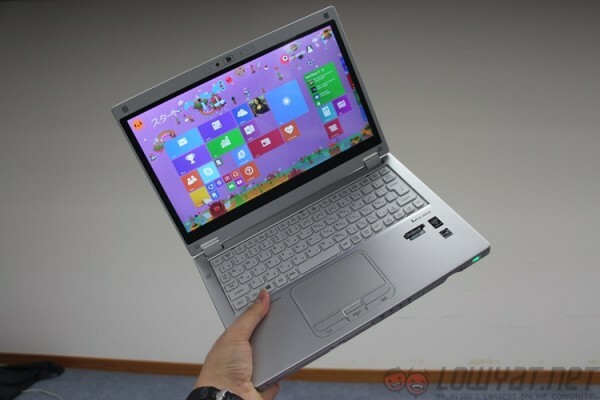 However, at a retail price of RM6960, it is still beyond the reach of many. 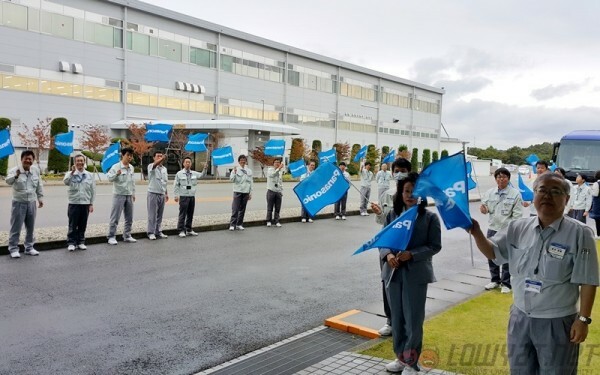 Regardless, this trip to the heart of Panasonic’s Toughbook operations was certainly an enlightening one. 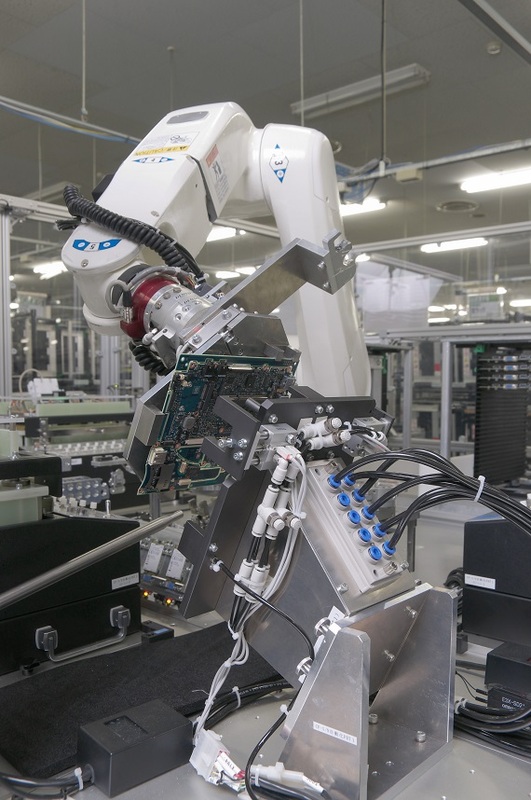 Japan’s famed pursuit of perfection is visible in every corner of the facility, from its dedicated staff to the exceptionally detailed answers in each of the questions we asked. 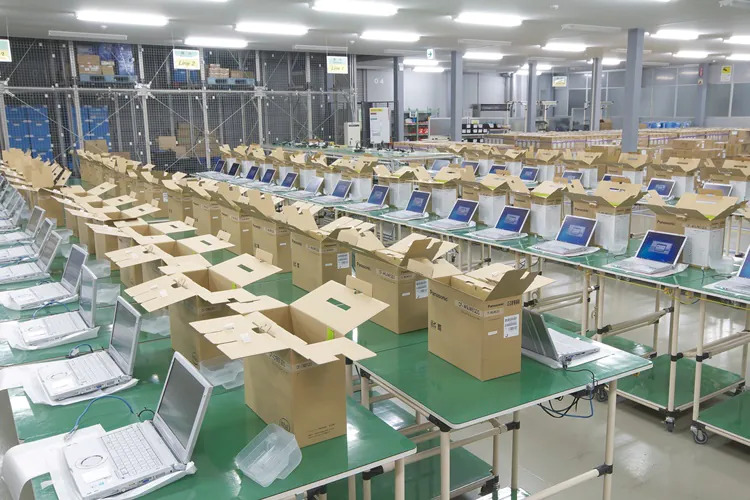 Our entourage of regional press members may have been one of the odd 5% who left the Kobe facility without making an order, but I wasn’t the only one pestering the upper management to tweak company policy about company laptops when I got back.